I recently read an article touting Washington, D.C., as a top destination for public transport. 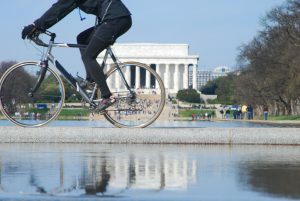 The purpose of the article was to alert meeting planners, specifically in the transportation arena, to all our nation’s capital has to offer and the many accolades it has received lately. You already knew IPMI’s neighbor to the north is home to many of our nation’s leaders, but you may not know that the District also leads in the areas of public transportation, accessible airports, cycling and bicycle-friendly communities, university programs in urban planning and other transportation-related fields, and being one of the most walkable cities in the U.S.
Smart Cities Dive named Washington its city of the year in 2017, and Ford chose it as the fourth city to test its self-driving vehicles. In addition to IPMI, many national associations and nonprofit organizations headquartered in the D.C. metro region are transportation-related. Michelle W. Jones, CMP, is IPMI’s director, convention & meeting services.